Is Jamaica the holiday for me? My name is Neil and I wondered if you would help me decide if Jamaica is the holiday for me. I've been wanting to visit Jamaica for a while. I love Reggae music and would also like to get to know more about the place in which the music I love comes from. The laid back approach and beautiful beaches are another big attraction. After a lot of money saving, next year I hope will be the year to go. I'm looking for somewhere reasonably quite. Entertainment is a must, but to be able to relax and forget about everything for the duration that I am in Jamaica would simply be ace. A long time ago I caught a glimpse of Montego Bay. Well, I just knew at some point I'd need to go visit. I've been doing some research on the internet and as always the bad stories play on your mind. Which leads me onto some things I wanted to ask you. If that's ok? What are your views around any of this? I know that within any resort in Jamaica this will be minimal right? I'd like to also experience areas accessible that are not within the resort area. I see you recommend a tour guide (Chester) who will pick you up and take you to the must see places. Which does appeal to me. Is Jamaica unsafe, there is allot of hype around it not been very safe? I plan to visit around this time next year. I know it's a while away but visiting such far away places like Jamaica as a 'first' time out of my own country does give me allot to think about. Thank you very much in deed for any help you can give me and your time. I love your question! I think you are asking on behalf of many Jamaica interests around the world who are itching to come - but have some reservations. Now I have the opportunity to answer you and them - at the same time. First, let me admit that YES, we have crime - too much we think. But this violence is concentrated in the inner-city areas, the so-called garrisons (ghettos). And few, if any, of our tourists ever visit, or have reason to visit, those areas. It is just unfortunate that it is the challenging areas, like those, that tends to get the news. That said, it is probably a good time to remind you that we have hundreds of thousands of visitors that continues to swarm our shores each year! and the overwhelming majority always have great praises for Jamaica and its people! Ironically, I stopped by Fontana today (a local store and pharmacy) and met a gentleman from the USA. His name is Jim and he was helping to promote some triathlon at Treasure Beach in St. Elizabeth. He told me he has been visiting Jamaica for the last 15 years - every year - and is loving it! - captured right here on www.my-island-jamaica.com. 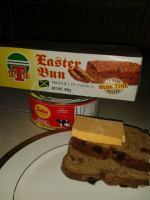 Jamaica page, if you have not already done so, you'll pick up some great ideas there. 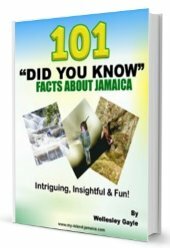 BETTER YET, take a look at my very own Jamaica Travel Guide for insights, including shopping areas, best beaches, top attractions etc. questions there - answered. Plus, you have the opportunity to ask follow up questions if you wish. I am confident that you and your loving mom will enjoy the trip Neil. In fact, I am going to invite you to give me a buzz again when you finally get here and let me know how it is going. I would love to see the smiles on your faces then!